This decision is the most important and difficult part of the whole process because it is the basis from which the whole project is developed. Since there are several options, it can really be challenging to understand exactly where to put your kitchen. Here are a series of considerations that will help the client and the designer to define the best location for the outdoor kitchen. 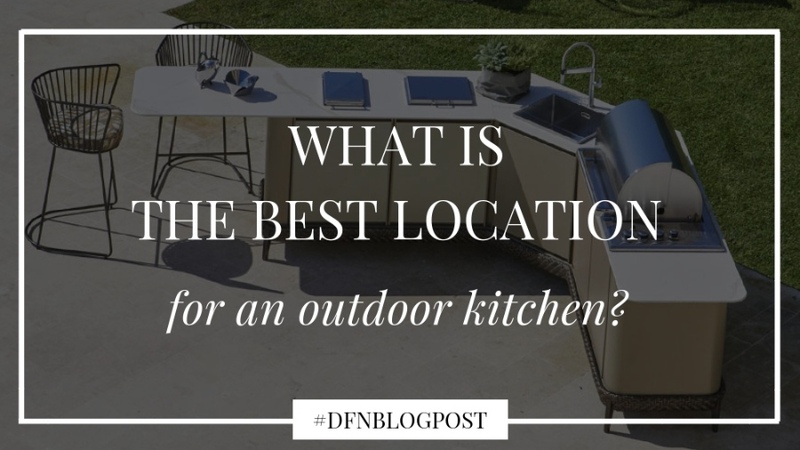 How important is the location of an outdoor kitchen? If we pause to think for a moment, it is easy to understand how important the location of an outdoor kitchen is. Its position defines not only the atmosphere and soul of the kitchen but also, from a more practical point of view, its size and layout. If, for example, the available space is small and not far from the neighbours, it is important to design a rather contained kitchen to avoid disturbance and also to be able to control noises, fumes and odours better. In this case, the possibility of having reduced privacy should also be considered. 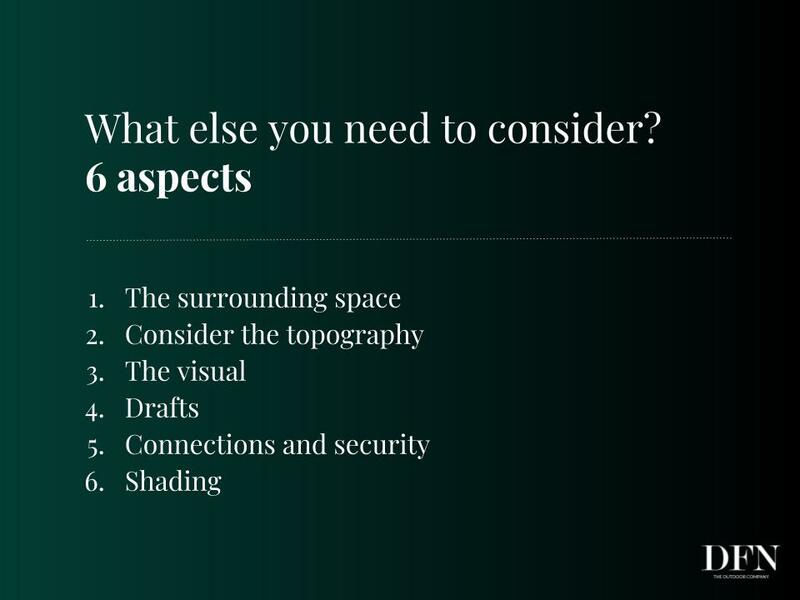 If, however, the space is quite large, there are many more ways you can develop your project. In this situation, in fact, aspects such as the transportation of dinnerware or the preservation of food come into play, rather than the creation of more or less panoramic views of the cooking area. It is also essential to study the outdoor kitchen’s panorama from inside the house, and from the street. Finally, don’t forget about the size; you should avoid creating a kitchen that is too big or too small compared to the main house. When choosing the ideal location for an outdoor kitchen, it is advisable to stay close to the main house. But for what reason? First of all, for a logistical motivation; if you are near the house, it will be more convenient to transport food or dishes from the inside out, and this comfort often results in more frequent use of the outdoor kitchen. Another element, at this point, is the identification of the internal room from which you will have access to the outdoor kitchen; this room will be the link, the point of connection between the inside and the outside of the house. It is usually the private kitchen that accompanies you outside, facilitating as anticipated the possibility to transport food and dinnerware outside. Another reason why the proximity to the main house is recommended is the ability to find shelter from sunlight or wind more easily by exploiting the walls of the house itself as well as the roof. In case of rain or snow, the walls of the house would diminish leeks in the outdoor kitchen thus offering additional protection in case of bad weather. Also, consider that the proximity to the house facilitates the necessary connections for water, electricity and gas. On the other hand, a joint construction or kitchen that is very close to the main house may not seem like a real outdoor kitchen. Moreover, considering the proximity to the doors and windows of the house, it is essential to study the location of the cooking area or the installation of ventilation systems to remove smoke and odours, thus avoiding unpleasant consequences. Finally, although it is always important that the outdoor kitchen reflects the style of the main house, in case of proximity it is even more crucial. The size of the external structure, the materials and the elements as well as a possible roof must all be in harmony with the house. The location of an outdoor kitchen, as mentioned, is the basis from which to develop the construction project. In addition to the proximity to the home, there are a number of other considerations to look at. Does the property have a nice garden? A pool? A hot tub? 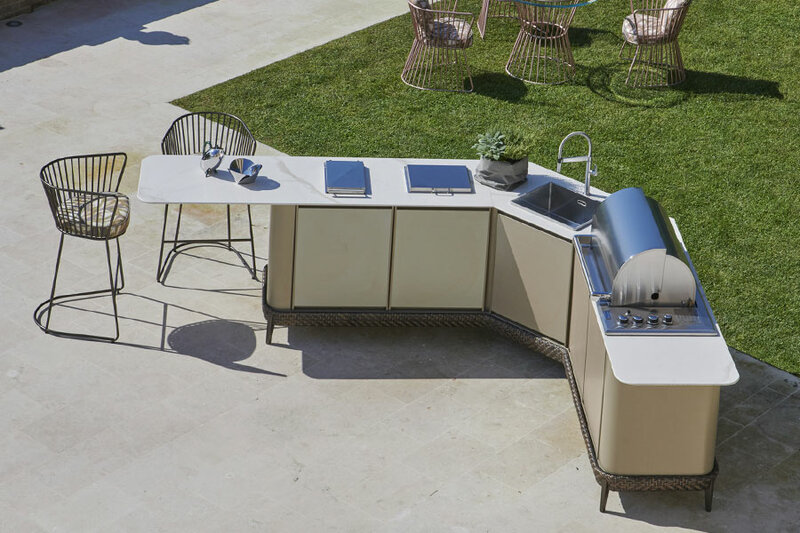 When defining the location of an outdoor kitchen, it is essential to keep in mind every structure and every existing element with which the kitchen will have to be integrated, without overdoing it. Also, consider the relationship between the indoor and outdoor kitchen: how will they interact? 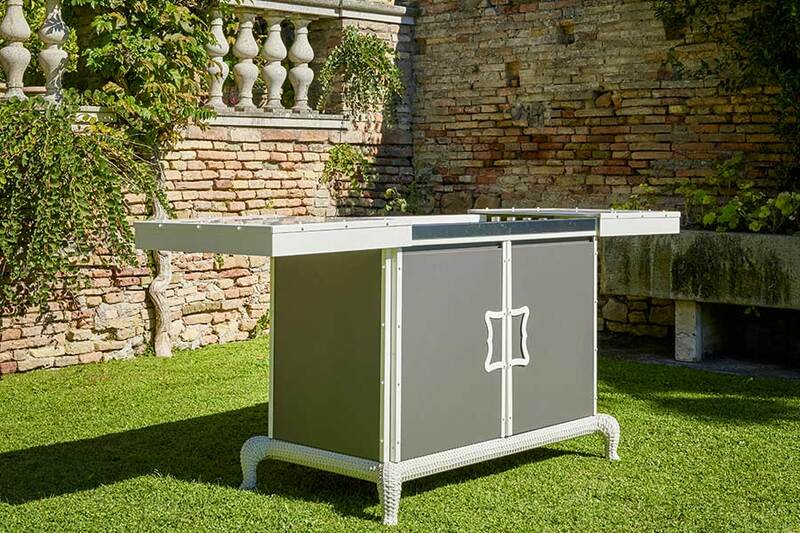 If the space in which the outdoor kitchen will be inserted is not perfectly flat or, worse, is inclined, it is essential to provide interventions that level the ground and prepare it before installing the entire project. This means that it is important, once the location for the outdoor kitchen has been identified, to carefully examine the surface that will hold it. Beyond its eventual inclination, it is also important to check its solidity. Once the ground below the kitchen is level, it must be paved. This choice is increasingly oriented towards options that are easy to clean. Keep in mind that these surfaces, like those of the countertop, must be resistant to any cooking condiments or liquids that may fall to the ground. For this reason, solid surfaces such as tile, cement or stone are preferable to wood which is porous and in the long run less resistant. It is advisable to hypothesise what the view from the outdoor kitchen will be and to study its location so that the viewable panorama from its interior enhances the entire external space. An incorrect placement could mean that guests will be forced to look at a wall rather than a fence. Therefore, it is important to think about offering a pleasant sight for all those who will experience this space. It is also appropriate to make the opposite reasoning, that is, from inside the house. Although the structure may be beautiful, you must avoid that it prevails over the rest of the property. So, when you choose the location for the outdoor kitchen, it is important that it does not cover your view when you look outside. It is advisable to choose the location of the outdoor kitchen based on the main air currents to make sure that the smoke from the grill exits the outdoor kitchen correctly but at the same time does not head towards the inside of the house. 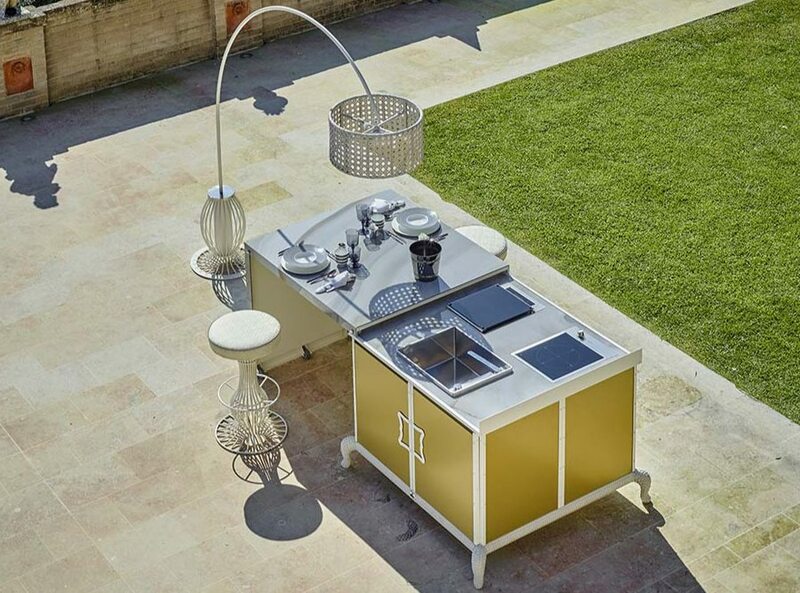 As mentioned above, an outdoor kitchen must be positioned in a functional way also concerning the gas, water and electricity connection. It is a practical but essential placement. You should also consider, from a safety point of view, a position that isn’t close to doors or transit points where constant traffic could lead to small accidents. To ensure that it remains comfortable throughout the day it is important to study the location of the outdoor kitchen so that it can enjoy areas of shade. You can use the perimeter walls of the main house but also plants, verandas, pergolas or umbrellas. A touch of class comes from a location that guarantees natural shade without resorting to artificial tools. However, umbrellas or gazebos are not cumbersome installations and, if chosen carefully, can be elegant and contribute to a more livable outdoor area. If the client opts instead for a more structured roof such as a bioclimatic pergola, it is possible to have a flat roof made of adjustable slats in order to have light, ventilation and, if necessary, rainwater protection. In general, numerous artificial options can guarantee shade. If the outdoor kitchen is very close to the main house, in some cases, it is possible to create a sort of covered "corridor" that connects it to the house. This has actually become an increasingly popular solution. in the same way, consider how the outdoor kitchen could disturb the sight of those inside the main house and consequently calibrate its position. Some designers, who usually work on the construction of outdoor kitchens, have shared some of their experience online, highlighting key points that should not be underestimated. What at first may seem better, in reality, is not always. So, if the client has a clear idea of the location of the outdoor kitchen, it is up to the designer to verify that what he or she proposes is feasible but above all the best choice. There is no perfect location for an outdoor kitchen. At the base, we have to consider the homeowner’s preferences, which are obviously personal and range from an extension of the interior of the house (the client prefers an outdoor kitchen near the main house) to islands in its own right (the client prefers an almost isolated pavilion that represents the icing on the cake of the entire property but has a personal soul and not so closely connected to the main house). This is followed by the various analyses that the designer must conduct in order to understand whether the client’s preference is completely satisfactory. Otherwise, it is up to them to propose an alternative based on the considerations made. Just like an indoor kitchen or any other room on the property, the creation of an outdoor kitchen is also full of challenges. This is why its position is fundamental and represents the basis for a successful project.